Sprint and Best Buy are offering students a free year of service with the purchase and activation of a new iPhone or other eligible smartphone. The list of eligible phones includes the iPhone 5s, iPhone 5c, Samsung Galaxy S III, Samsung Galaxy S 4 Mini, Samsung Galaxy Note 3, LG G2, Lexus Nexus 5, HTC One, Motorola Moto X, and more. 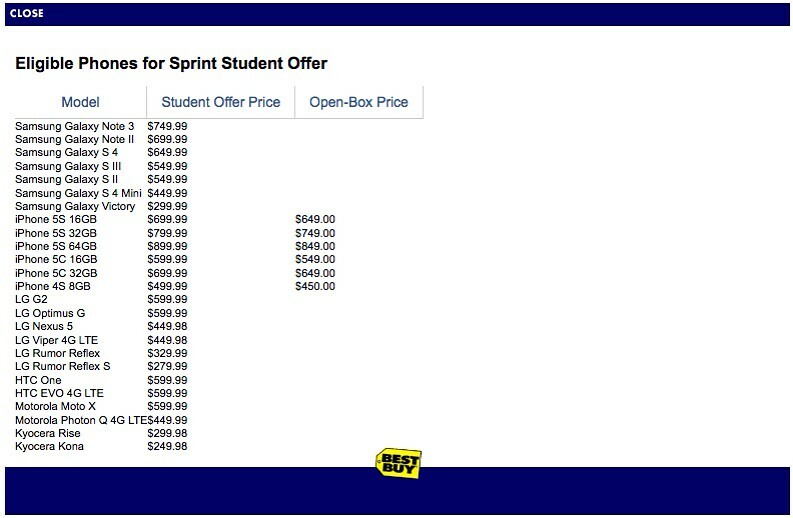 You will need to purchase them at the full Best Buy Student Offer Price (see image below). ● Easily add unlimited data for just $10/mo. As you have to purchase the phone outright, no term agreement is required. Bonus months can be earned for referrals. 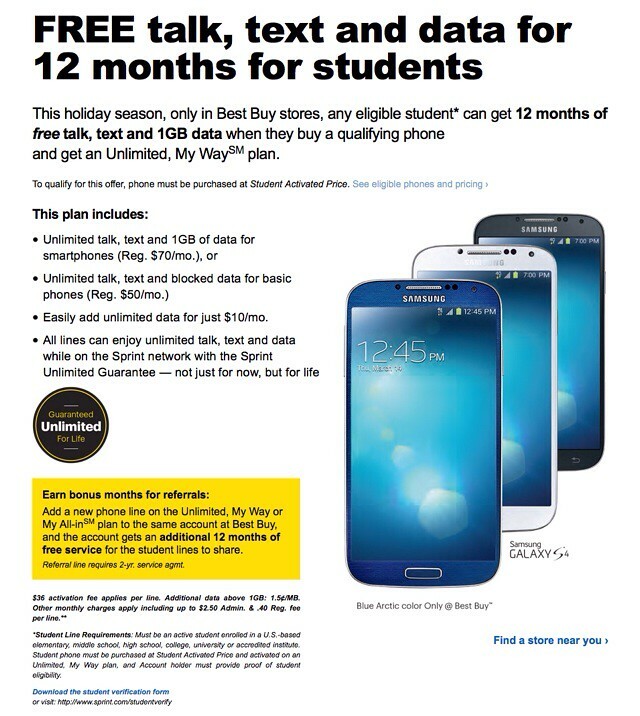 Add a new phone line on the Unlimited, My Way or My All-inSM plan to the same account at Best Buy, and the account gets an additional 12 months of free service for the student lines to share. Referral line requires 2-yr. service agmt.